The arraignment of terror suspect and accused al-Qaeda operative Najibullah Zazi will take place in Brooklyn Federal Court today. 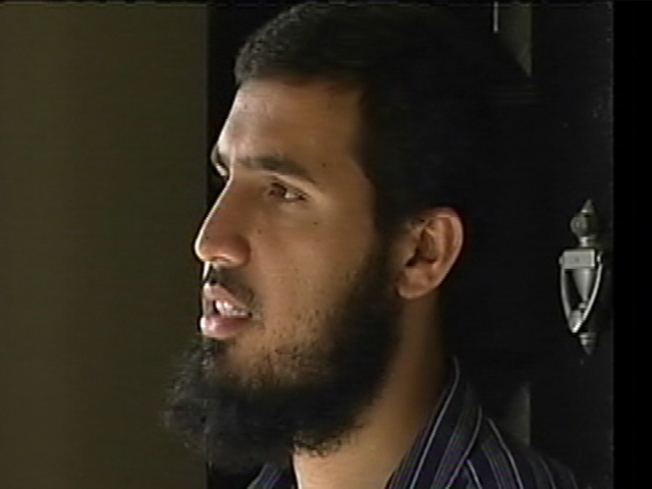 Alleged al-Qaeda operative Najibullah Zazi pleaded not guilty Tuesday to charges of plotting a terrorist bombing. Wearing a blue prison shirt and an orange jumpsuit, Zazi, 24, sat silently throughout the 10-minute hearing at Brooklyn Federal Court. Prosecutors said the "conspiracy is international in scope" but in court they did not shed any additional light on who might have helped Zazi or exactly where in the United States the alleged plotters had been planning to strike. Zazi, is charged with conspiring to use weapons of mass destruction after he was allegedly seen buying alleged bomb-making chemicals in Denver-area hair-supply stores, and then traveling to New York around September 11. The Afghan national is also accused of participating in explosives training in Pakistan. The airport van driver and former coffee cart vendor has continually denied any wrongdoing, but a letter filed by Brooklyn prosecutors last week argued that Zazi should be jailed indefinitely because, as an Afghan immigrant with ties to Pakistan, he could flee, and because he "poses a significant danger" to the community. Judge Raymond Dearie ordered Zazi held withouit bail. After the hearing, defense lawyer Michael Dowling said there is no evidence of a conspiracy and nothing illegal about buying large amounts of hair products. "Stop this rush to judgement because I have not seen any evidence of a conspiracy," said Dowling. Investigators have said that Zazi was stockpiling common beauty products containing hydrogen peroxide and acetone in the hopes of using them to build improvised explosive devices. Zazi arrived at the courthouse under tight security, and bomb sniffing dogs gave the courthouse a good nose-down before the proceedings, as the Daily News reported. A squad of uniformed federal protective police officers was also adding extra muscle to the U.S. marshals' regular detail guarding Zazi. The terror suspect is expected to be held at Brooklyn's Metropolitan Detention Center until his next hearing, scheduled for December 3. Investigatos say they continue to monitor several others in Queens who may have assisted Zazi. Court papers say at least three others helped Zazi buy the chemicals in the Denver area. Zazi had lived for years in Queens and had worked as a pushcart vendor selling coffee and donuts in Manhattan before moving to Denver earlier this year after filing for bankruptcy. Authorities have apparently been tracking the Afghani immigrant since his return from Pakistan last year -- where he allegedly received bomb making training, according to a government document. A search of his laptop found nine pages of handwritten notes about constructing bombs, authorities have said. Concern over his activities heightened on September 10, when he drove all night from Denver and arrived in New York city on the eve of the 9/11 attacks. When a Queens imam allegedly tipped him off to the investigation, he cut short his trip and returned to Denver, officials said. The FBI then raided several of Zazi's haunts in Queens, finding items that could be used in setting off explosives, including nine backpacks, an electronic weight scale and batteries, officials said. The imam, Ahmad Afzali, and Zazi's father, Mohammed, were both arrested on charges of lying to federal investigators looking into the alleged plot.